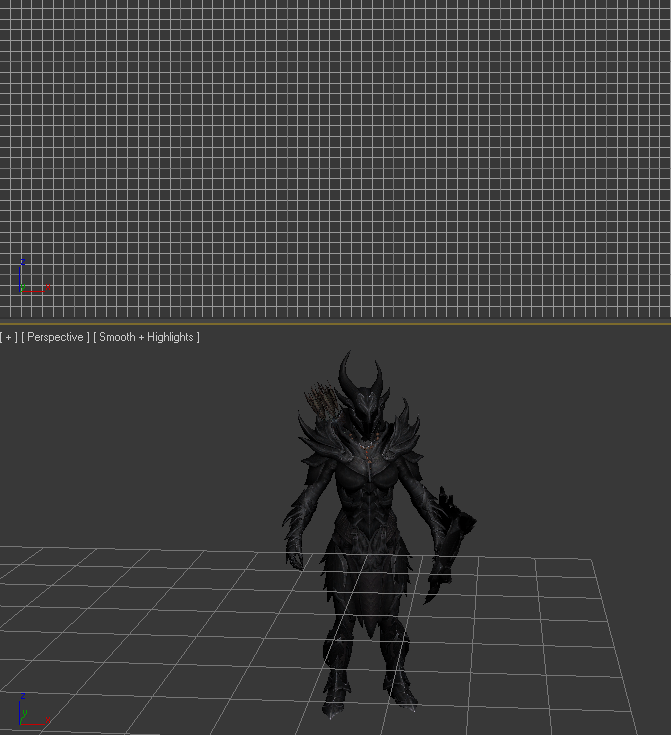 You may want to create a rigged and animated character from a game which has no way to export character models. 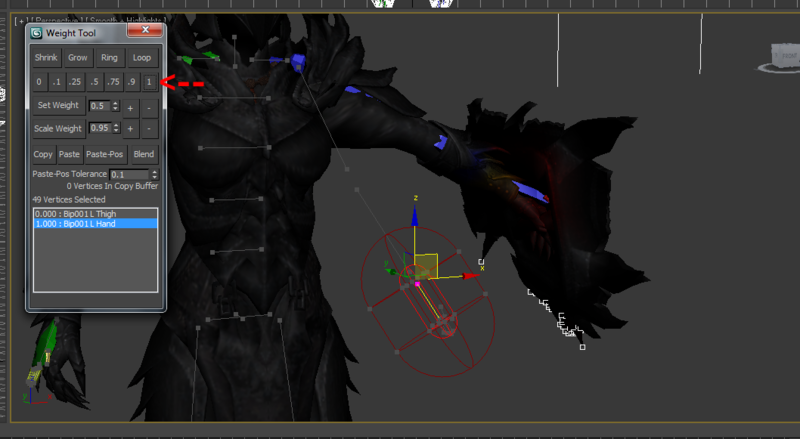 One solution to this is to use 3D Ripper DX and a Biped to quickly rig the character. Before capturing the scene, see if it’s possible to get the character into a T-Pose. Some games have command line options for this (such as Skyrim). 1) Open the scene in 3DS Max. 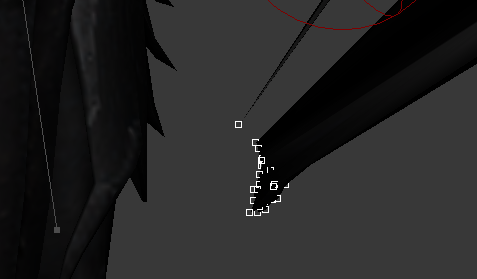 Delete everything except the character meshes. 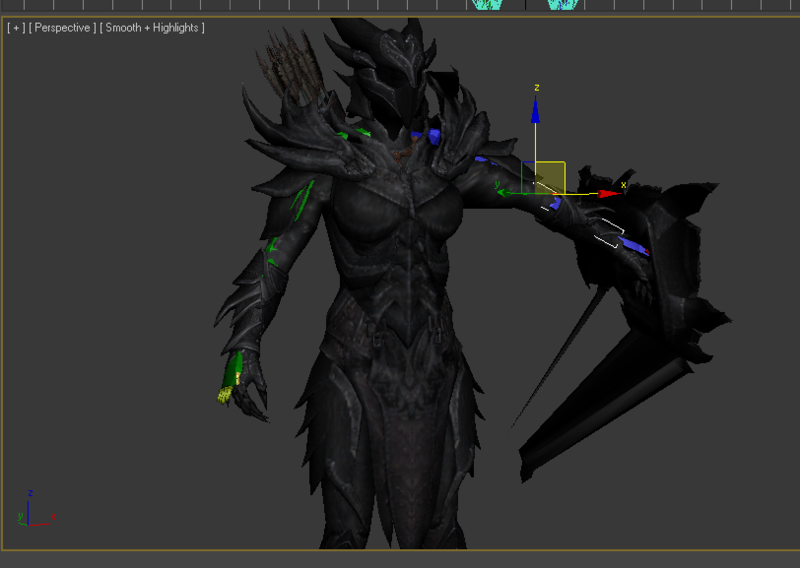 2) Attach all the character meshes together. 3) Use the Transform Toolbox (Edit &gt; Transform Toolbox) to center the character, then rotate as needed so the character is standing upright. 1) Under the Create &gt; Systems tab there will be a Biped option. 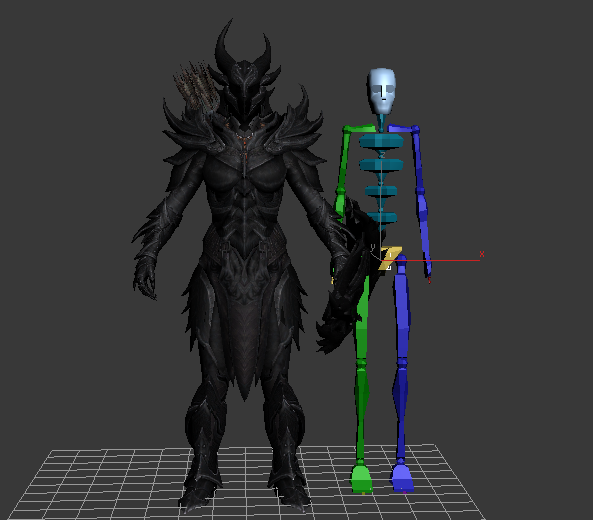 Make the Biped about the same size as the character. Turn on figure mode. – The “figure mode” button is located in the Motion panel. This is the mode that allows you to alter the biped. 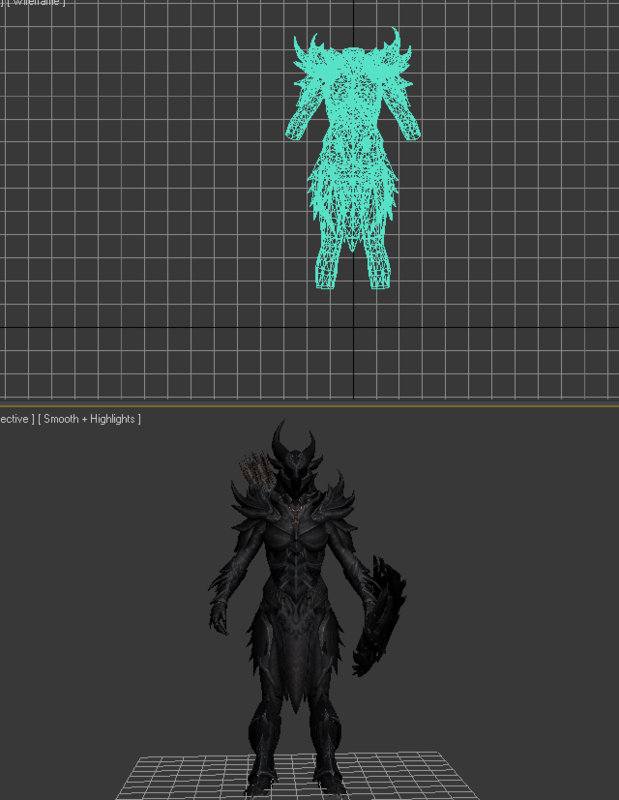 2) Move, Scale and align the Biped to match the character mesh. 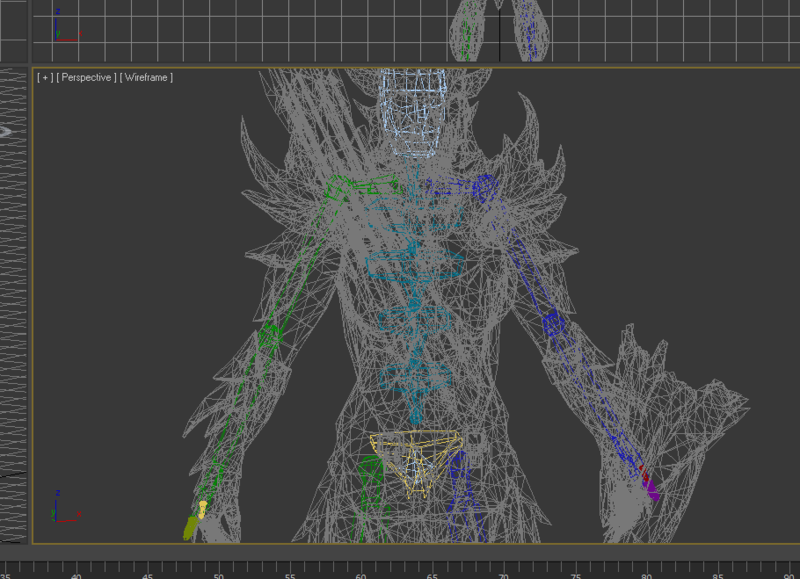 – The goal is to have the biped bones in the center of the mesh. 3) Once your Biped is scaled and aligned properly, turn off figure mode. 5) Under the Skin Parameters, click the “Add” button and select all the biped bones. 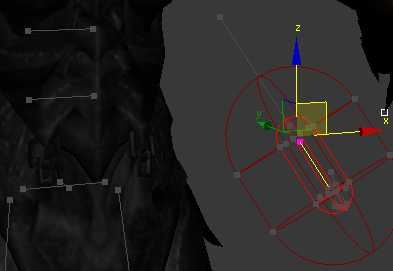 As you move the biped bones you may notice some vertices don’t move with it. This is an easy process to fix, but will take some practice to perfect. 1) Select the mesh. Click the “Edit Envelopes” button. Select the Vertices checkbox. 2) Scoll down and open the weight tool (has a wrench icon). 3) You will notice gray lines. Select the one that corresponds to the bone you wish to use. 4) Select the vertices you wish to fix, they will turn into white boxes. 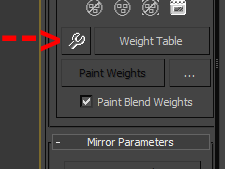 5) In the Weight Tool, press the 1 button. 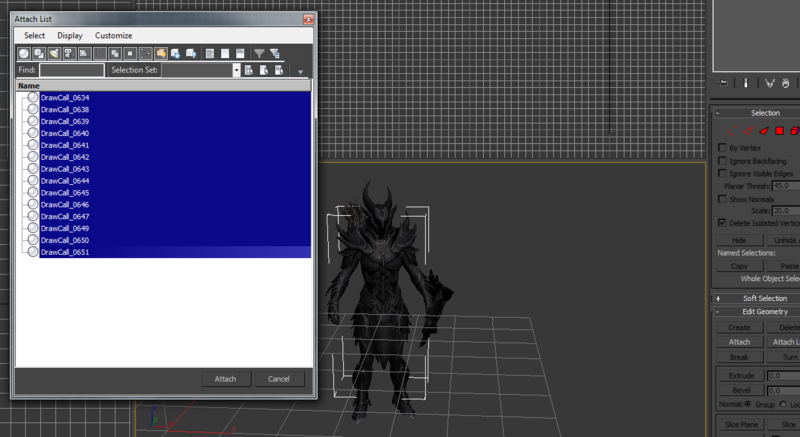 – When done weighting, you can use BIP files to test the rig. – Once you are satisfied, you can export to your game of choice. – Weighting, like all aspects of animation, has many more options to control and refine things. This tutorial is only a start. – Many games use dynamic materials which allows them to easily change the appearance or characters. 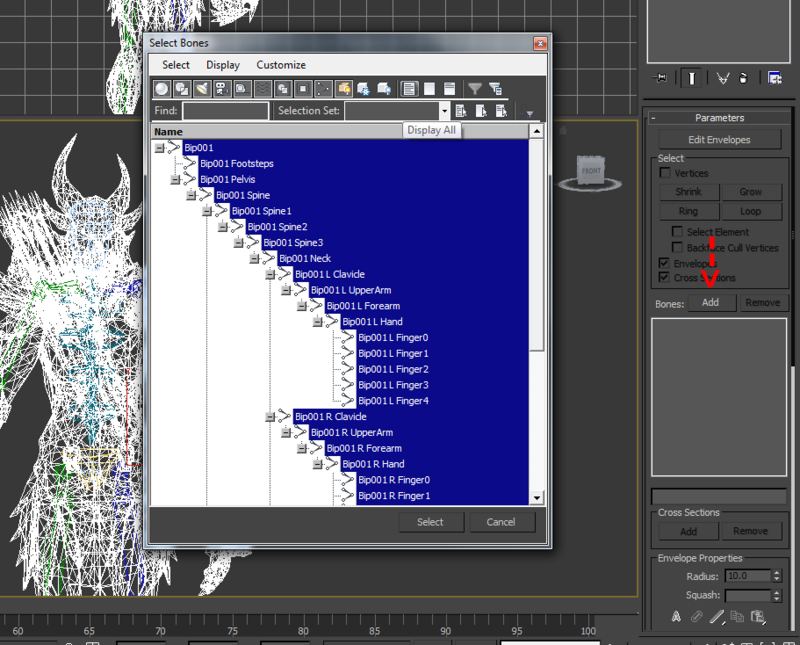 You will need to manually adjust the material to try and recreate the same effect. This question may be a few years outdated… but how were you able to run 3d ripper dx with skyrim? I’ve been trying unsuccessfully, and all my research has found that you’re one of the few people who has been able to get it to work…. I’m wondering what settings you used with 3d ripper? 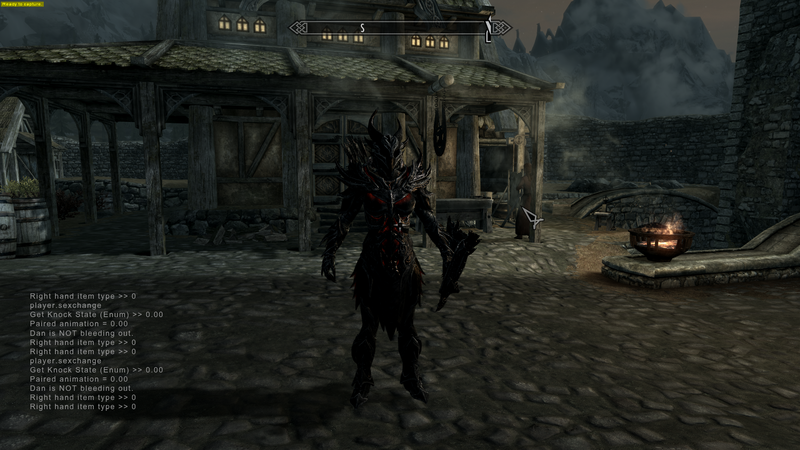 What your skyrim settings are/ are you running any mods or ENBs, or could those (which I am running) interfere with 3d ripper? I basically found this tutorial, and I can’t even get past the first part – getting 3d ripper to run! I did have it working, but it was a few years ago so I don’t remember all the details. I did not have any mods installed, but I doubt having mods installed would cause issues. I was using Windows 7 with the Steam version of Skyrim. It’s possible the client may have been updated at some point, preventing it from working like it used to. I will do a test to see if it still works and get back to you. I have been running skyrim with an ENB, which involves launching skyrim not from steam but through another workaround, so that workaround may not be compatible with 3d ripper…. In any event, your expertise is appreciated! I await your results! OK I looked into this for you. At some point they must have changed how the game client works. When I tested this in 2011, you could launch the game directly by using TESV.exe in your Skyrim directory. This has since been changed, and the launcher menu now opens when you click TESV.exe, preventing 3D Ripper DX from working. 1. Try to find a way to disable or bypass the launcher. 2. If you have an old computer with Windows XP, you can use the “Global Monitoring” feature of 3D Ripper DX (this only works on XP). 3. Try to find an old version of Skyrim that you can install separately, without any updates. I found a way to bypass the launcher by doing a google search for “bypass skyrim launcher”. Unfortunately that did not solve the issue. I know for sure it will work on Windows XP (I just tested it last night with the current game version). You may also have luck if you can track down the original game client from 2011. Interesting. I wonder then if I could, with a newer version of windows, run in compatability mode for XP and if that would work. If not I’ll have to search for the old client, as you suggested. Thanks again for all your help on this!